Due to the high rate of consanguineous marriages among UAE nationals, which has reached 51 per cent of total marriages, the country has a high rate of single gene defects among new-born, according to a senior genetic researcher. Genetic disorders and their prevention and treatment, were among the issues discussed at the first International Genetics Congress, which was inaugurated yesterday at the Shangri-la Hotel. Dr Ahmad Khamis Al Mutawa, Deputy Vice-Chancellor of UAE University for Planning, opened the three-day event. The congress is being held under the slogan ‘Genetics: Global challenge, Regional Focus' and will discuss advances in community and preventive genetics. Delivering the opening speech, Dr Yousef M. Abdel Razak, Vice-Dean of the Faculty of Medicine and Health Sciences at UAE University and Chairman of the Scientific Committee of the Shaikh Hamdan Foundation, welcomed the participants to the congress, which is being held under the patronage of Shaikh Nahyan bin Mubarak Al Nahyan, UAE Minister of Higher Education and Scientific Research, Chancellor of UAE University. "The UAE has taken great strides in health care in the last two decades and because of improved pre-natal care, the infant mortality rate has decreased to 8.4 per 1,000 live births in the year 2000, a rate similar to that of developed countries. On the other hand, mortality due to genetic diseases has increased dramatically accounting for 75 per cent of neo-natal deaths, compared to only 30 per cent of neo-natal deaths a decade ago," Dr Abdel Razak said. He said that the rate of congenital abnormality at birth in the UAE is about 22 per 1,000 live births, which he added is a grossly underestimated figure since many congenital abnormalities are detected long after birth. "The UAE has a high incidence of single gene defects which accounts for the high rate of autosomal recessive disorders. This is related to the high rate of consanguineous marriages, which is around 51 per cent of marriages between UAE nationals," Dr Abdel Razak said. Dr Abdel Razak said that the UAE has paid special attention to prevention and treatment of genetic disorders. Genetics is one of seven priority research subjects at the Faculty of Medicine and Health Sciences (FMHS), UAE University. "The population-based registry of congenital abnormalities at the UAE Ministry of Health records all babies born with such disorders and it has given us an excellent idea of how prevalent genetic disorders are in the country," Dr Abdel Razak said. He said that the Genetic Group at the FMHS has its own registry for the Al Ain region. The Genetics Group is also a member of the International Clearinghouse for Birth Defects Monitoring System, an international organization to which all genetic diseases from member countries are reported. 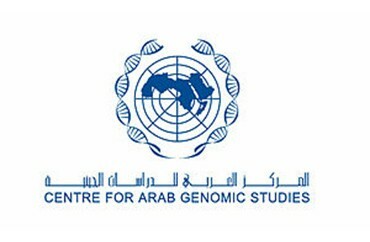 He said that the Shaikh Hamdan bin Rashid Al Maktoum Award for Medical Sciences, which established the Centre for Arab Genomic Studies, is a major sponsor of the International Genetics Congress, which will serve as a forum for the exchange of knowledge and expertise. There are 350 participants from 30 different countries currently attending the congress. They will sit through 52 lectures and presentations by some of the leading and most eminent researchers in the field of genetics and inherited diseases.